Of these, probably the most important one was Masataka Taketsuru(竹鶴政孝), the "Father of Japanese Whiskey". Born as the third son of a sake brewer, he learned sake making of different kinds in high school. He was supposed to take over the family business when he graduated since his two older brothers showed no interest in brewing, but in school he got deeply interested in western alcoholic beverages. He eventually fell in love with Scotch whiskey. This was the start of a lifelong love affair. Rita fell in love with Masataka too - some say their love was born when they sang Auld Lang Syne together. Against all objections, especially from her family, they got married at the registrar in Glasgow. Masataka and his Scottish bride moved back to Japan in 1920. Masataka also brought back with him 2 notebooks filled with his notes on the whiskey distilling process. They are still preserved in a museum. 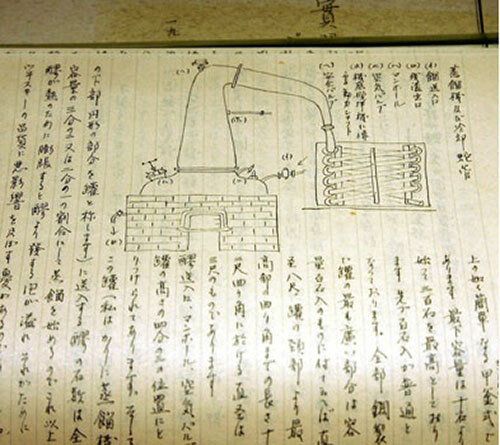 They are probably the most important documents in Japanese whiskey making history. Masataka first went to work for the company that had sponsored his studies in Scotland, but they weren't able to go ahead with their plans to establish a distillery due to a post-WWI depression. He was working as a high school chemistry teacher, when a company called Kotobukiya found him. They were looking to establish a distillery and made enquiries in Scotland for an expert, and were told "You already have one fully qualified in your country" and were directed to Masataka. He went to work for Kotobukiya in 1923. He was instrumental in planning and building their first whiskey distillery in Yamazaki, near their headquarters in Osaka, indeed the first in Japan. His main ally and supporter in the company was Shinjiro Torii, the founder and boss of Kotobukiya, who was the one who had seen a need for a domestic whiskey distillery to be built. Kotobukiya later changed its name to Suntory. However, the very first whiskey produced by the Yamazaki distillery, Suntory Shirofuda, was not a success; Japanese whiskey drinkers were used to blended whiskeys (mostly mixed together by pharmacists), and some in Kotobukya thought he was too fixated on the Scotch method, which in their opinion just wasn't suited to Japanese tastes. He was eventually transferred away from his distillery, to a beer factory in Yokohama owned by Kotobukiya to run it. He wasn't happy, but he felt obligated to stay at the company at least 10 years, which he had initially promised to do. In 1934 (10+ years after he joined hte company) Masataka resigned from Kotobukiya and established his own company, called Dainippon Kajuu KK. The name of the company meant Great Japan Fruit Juice Company...he basically lied to investors about his intentions, and said he wanted to make apple juice. The company set up in Hokkaido, the northernmost big island in Japan. He chose Hokkaido because the climate was the most similar to that of Scotland. He also had ready access to peat, barley and other products used to make Scotch whiskey. He had wanted Kotobukiya to establish a distillery in Hokkaido 10 years ago, but they had refused because it was too far away from Osaka. In 1940, he finally introduced his first distilled whiskey, and called it Nikka Whisky. (The Scottish spelling is used for whiskey in Japan without the e, since it's using the Scotch method.) However, almost immediately afterwards whiskey was declared a commodity critical for national defense by the military controlled government. The distillery came under the control of the Imperial Navy, and for the duration of the war he made cheap military ration whiskey for the troops. That did, however, allow the distillery to survive. When the war ended, Masataka had to continue to make cheap third grade whiskey at the insistence of his investors. In their view the postwar Japanese populace was too poor to afford fine whiskey. But Masataka kept on stubbornly and persistently going for quality, refining his methods even if he couldn't sell the output. In 1964, Nikka Whisky (they changed the company name to that formally in 1952) introduced three first grade whiskeys. His old nemesis Suntory quickly responded by producing their own. Quality Japanese whiskey became established over the next decades, helped a lot by that rivalry. Japanese whiskeys did not really become internationally recognized or exported in significant quantities until the 2000s, when they started to win international awards. 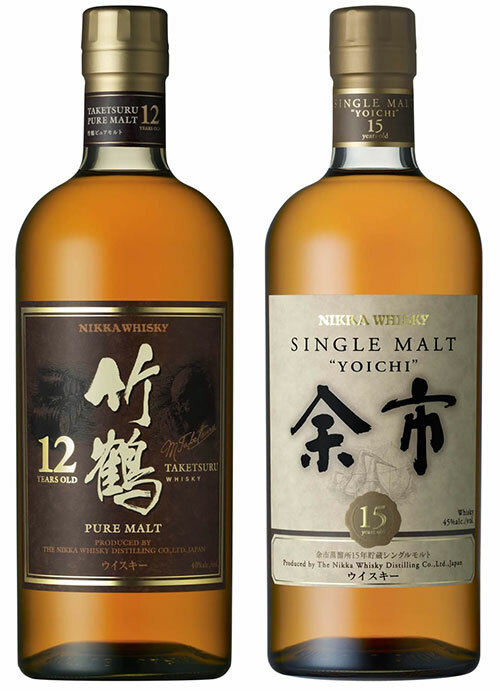 Nikka and Suntory have been the main recipients of these accolades, such as these two from Nikka, Taketsuru Pure Malt and Yoichi Single Malt. (See: the list of awards won by Nikka Whisky). Until his death in 1979, Masataka Taketsuru lived for whiskey. Nikka Whiskey is still thriving (as a subsidiary of Asahi Breweries, since 2011) and produces award-winning whiskeys. 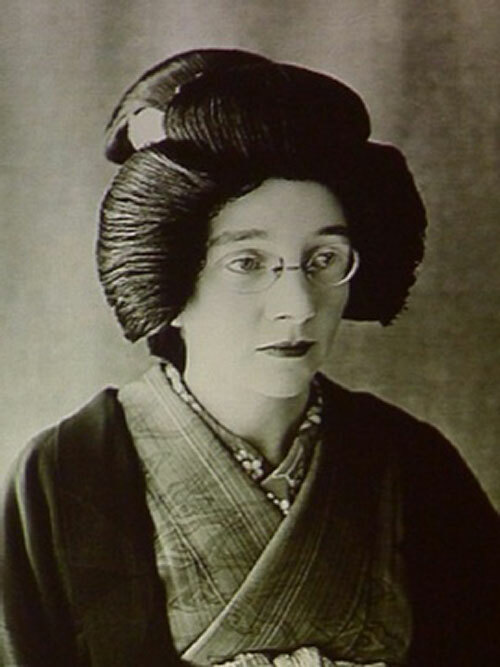 Rita Taketsuru supported Masataka faithfully through all his ups and downs, until her death in 1961. Her income as an English teacher got them through some rough patches, and she endured a lot of abuse during the war when she was regarded as 'the enemy'. She never returned to Scotland. Although they were unable to have children of their own, they adopted Masataka's nephew, who becamse the second Master Blender for Nikka Whisky after Masataka. This is Rita, dressed and coiffed in the Japanese way. A road is named after her, Rita Road, in Yoichi, the small town in Hokkaido where Masataka established his distillery. Whiskey consumption in Japan continued to rise until the end of the '80s, as the country became ever more prosperous. When the economy soured, whiskey consumption dropped too. However, since the late 2000s there has been a revival of interest in whiskey. There's a very nice article about the Taketsurus here, especially Rita: The Rita Taketsuru Fan Club. The story of Masataka (Massan) and Rita Taketsuru will be the subject of the NHK Asadora (morning serial drama) starting in September 2014. More info here. In 1989 Nikka Whisky bought the dormant Ben Nevis distillery in Scotland, and brought it back to life. Masataka would have probably heartily approved. Asahi Breweries was a financial backer of Nikka Whisky via its chairman, Seitaro Kaga, for many decades, so Nikka becoming its subsidiary was not a hostile takeover or anything but rather a consolidation of sorts. About Masataka Taketsuru on the Nikka Whiskey site. 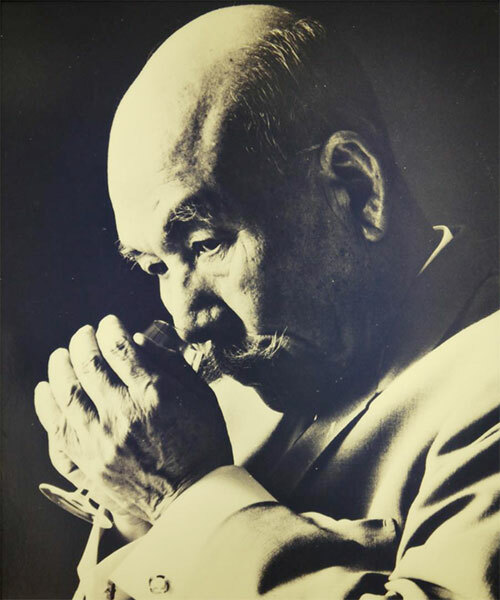 The official Suntory sites don't mention Masataka Taketsuru much (the Japanese site doesn't mention him at all, and the English site has just a sentence or two), but gives most the credit for establishing that first distillery in Yamazaki to their founder, Shinjiro Torii. But without Torii's persistence in establishing the distillery and keeping it open against the objections of his partners, Suntory may never have become a major whiskey maker. One more bit of trivia: Shinjiro Torii seems to have actually been more interested in port, and thought that would become the big hit western alcoholic beverage in Japan due to its sweet flavor. Suntory is now one of the biggest beverage manufacturers in Japan, if not the world (they also own several soft drink brands like Orangina, Ribena and Lucozade). Submitted by maki on 2013-12-11 15:12. This is fascinating, Maki. Thank you so much for reposting. I love Scottish single malts and will be happy to try the Nikka. The day that this whisky article posted, I returned home to San Francisco from a wonderful trip to Japan. Every year for Christmas I search out a different single malt whisky for my husband. (Whiskey with an "e" is the American spelling, whereas Japan, Scotland and most other countries do without it.) This year DH requested a really good Japanese whisky. As it happened, I searched out and brought home the exact same single malt "Yoichi" 15 year old bottle pictured above! Hubby was very happy with it, and declared it one of the best of his collection. He was also delighted to read this timely article. Maki, we are wishing you a happy Christmas, and a healthy, prosperous New Year. You might be interested to know that originally, the "whiskey" spelling was Irish. Irish distillers wanted to differentiate their product from Scotch and the e spelling became common from the 19th century. In America, both spellings are apparently common, but the e spelling has become more popular since the 1960s. I read that officially, America still uses the "ky" spelling on government documents. Thank you for the wonderful article, Makiko-san. I actually toured the Yoichi Distillery many years ago when I visited Hokkaido and it was very impressive. Even though I'm not a big Whiskey fan, I sure learned a lot from the tour and enjoyed the Whiskey tasting afterwards. What an interesting read! Funny thing is, my father and I wanted to drink Japanese whisky and he thought he still had a bottle of blended Nikka whisky in the basement. He found the botte but to our consternation someone had re-used that bottle to fill it up with umeshu. Adored this article and the rich story behind it. Just came back from Japan two weeks ago, and now I'm wishing I had tried some whisky while I was there. 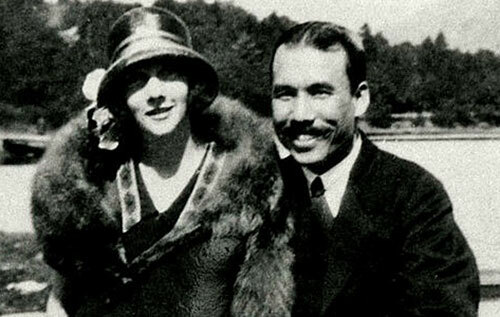 I have been watching Massan online and am 3/4 of the way through, so have been curious about The Father of Japanese Whisky and his Scottish wife, Rita. It must have been a very challenging thing for either of them to marry outside of their communities. My grandmother was born in part of the Ukraine close to the Black Sea, in a small village, though she was brought as a two year old to Canada. Her son, my father, married a very mixed race woman (my mother's family came to North American in the mid 1600's!) so we, their children, are a composite of pretty much every race - all the European nationalities, African Americans, Native Americans and those are just the ones we know about. My grandmother said we kids were mixed up enough and so should try to have more pure children by marrying someone from the area my grandmother was born! And this from a woman raised in Canada! Back in the post WW1 period even to marry a person from the same country who lived in a different district was looked down on. They must have loved each other very much, and as you can see in the top photo they are looking forward with smiles and hope in their faces. An amazing story of love and perserverance, and a what a wonderful legacy their hard work has left. Thank you for your wonderful article Makisan!